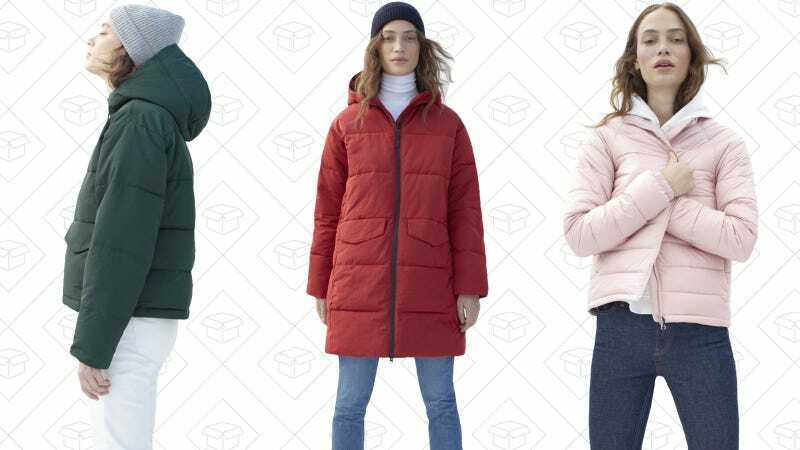 The Everlane Puffer Jacket figured out how to get rid of everything hated about puffers, and add a few things to love too. Puffer jackets used to be my enemy. I’d end up like Randy from A Christmas Story, except without the comedic effect. A couple of my coworkers got the Puffer last year and I was intrigued. It was slim, streamlined, and didn’t add much extra...width. But I was skeptical, mainly because they all had a good four inches on me. But when I saw they had announced their newest upgrade in the Long Puffer, complete with military-grade PrimaLoft, you bet I checked it out. Every time I’ve worn it, people have asked me where it’s from and then follow that up with “I wouldn’t really consider that a puffer coat” as if the classification was an insult. Its cocoon-like shape lends itself to a sleek form on the body, though I would recommend sizing down. Even with a heavy sweater underneath, I have room in the arms (which was too much room in my normal size). The hidden fleece-lined zipper pockets are a nice touch as well, especially since it took me a whole day of wearing them and hating the flap pockets before realizing they were there. The Everlane Puffer also breathes like you wouldn’t believe. Getting on and off the subway, going in and out of my office, nothing kicked my temperature up above comfortable, like down/down alternative coats usually do. And, in my opinion, the best part about the Puffer collection is the fact that none of them go over the $200 mark. Kind of unheard of, right? The Puffer collection comes in a couple different lengths. The Long Puffer is great for any snowy day (and it’s not too long on my 5'1" frame), but it comes in a Short, with a boxier fit, and a Lightweight, which is perfect for layering. And, they have a parka style, which can withstand basically anything winter has in store.